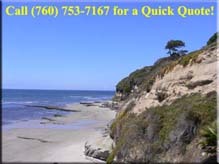 Family owned custom glass shop located in Encinitas, with a personal, friendly staff. The primary market for Leucadia Glass is custom residential construction and remodeling. 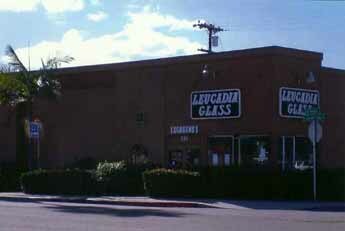 Leucadia Glass can supply all your glass needs from window glass to thick table tops. We also specialize in all types of bath and shower enclosures, mirrored walls, mirrored wardrobe doors, bathroom mirrors, antique mirror, dual glazed window & breakage replacements. We carry 40 different types of cabinet glass & custom stained glass designs are also available. From custom shower enclosures to glass for kitchen cabinets, no job is too small and we hope you will join our family of satisfied repeat customers! Leucadia Glass offers additional services for window screens, new screen doors and re-screens. For 45 years Leucadia Glass has offered professional services to Leucadia, Encinitas, Carlsbad, Del Mar, La Costa, Rancho Santa Fe, San Elijo Hills and the greater North County San Diego Area.